First I just wanted to announce to all of you I have finished the Nanowrimo challenge. It was a tougher book for me to write than any of my other 3 and I’m proud of the basic story I was able to develop. The prose is rough but the story I really like. It ended up being a story about a woman who has never fallen in love who loses her job which leads her into the path of an ever-growing group of people including a girl who ends up pregnant in a domestic abuse situation. The more people she allows into her life the more she grows as a person. It went darker places than I expected and I really enjoyed writing it. I hope you are all having a blast with your writing and your projects! I look forward to having a bit of my life back after being kind of obsessed with nanowrimo. I’m that way. I get focused on one thing and shut other things out. I would like to change that but it seems to just be part of me, so I work around it. I’ve been thinking a little bit about the silly rules we set for ourselves that seem important at first but when you really think about it they are kind of dumb. For example, for a long time I said ‘no Christmas music before Thanksgiving’. This year I kept turning on Christmas music on the radio and enjoying it and then turning it off because of my rule. It finally occurred to me ‘why?’. If it is making me happy than why not listen to Christmas music? Most people set such a rule because they don’t want to tire of the Christmas music. Well, I do not tire of things like that. If it is something I like I like it on listen 1 and listen 1000. I just don’t grow weary of music, movies, food the way other people do. Not sure why but it’s true. So the rule may be helpful for other people but for me it was silly. It was denying me of joy for no reason but to obey some rule. It’s made me wonder what other silly rules I have that are unnecessary? Do you have any? Well, I am exhausted so I will sign out. 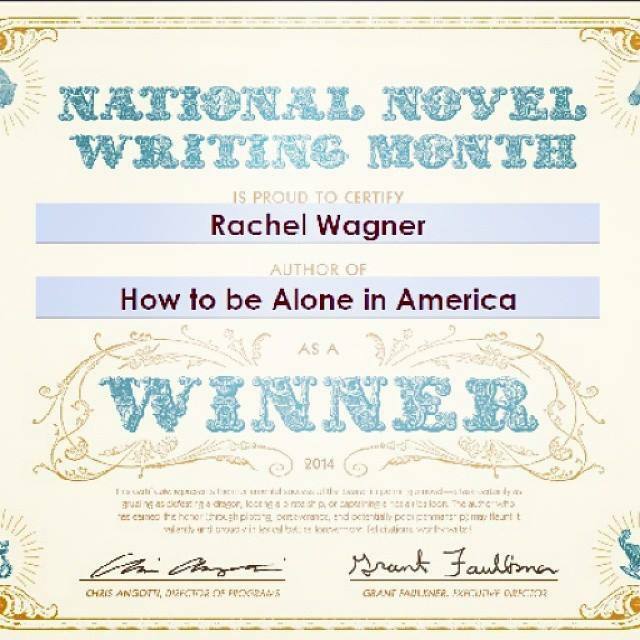 Let me know how you are doing on nanowrimo. Finish strong my friends! I’ve heard that a lot of people absolutely refuse to listen to Christmas music or decorate for Christmas before Thanksgiving. If someone is that sentimental about Thanksgiving, I can get that. For me, I say bring it on with the Christmas decorating and music! I’m not all for supporting materialism, but I do associate Christmas with winter and being inside with lights and beautiful colors and a delicate snowfall and Christmas tunes and being with family and friends, and of course, I like to remind myself of Christ’s birth. It’s just a great time of year, and if other people have that issue with celebrating prior to Thanksgiving, I think it’s their problem, ha. Very well said! I agree with all of it! It’s a good point about some people feeling like Christmas music encroaches into Thanksgiving’s time to shine and I guess I would feel that way if there were Thanksgiving music but since there isn’t I don’t see how Christmas music encroaches any more than any other music? Thanksgiving is a food and family holiday and I don’t think listening to Christmas music inhibits that at all. What’s interesting for me about Christmas is since I don’t have a family of my own I don’t have that many gifts to buy. This year all my siblings live far away so I have gifts for my nieces, my parents and a few little friends gifts. That’s it. It can be a little hard to get in the Christmas spirit without anyone to shop for but it does help to focus on the reasons for the season as you so eloquently expressed.